President Donald Trump has emblazoned the “Trump” brand name on images of the White House to sell in his Trump Store and at the Trump International Hotelin the capital. 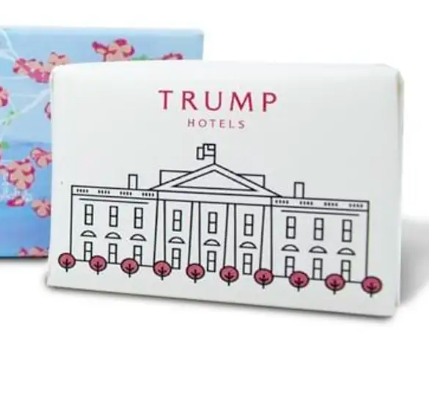 The products give the bizarre impression that the White House is a Trump hotel. The Trump syndicate is calling the White House a “Trump Hotel” in its online merch marketing!